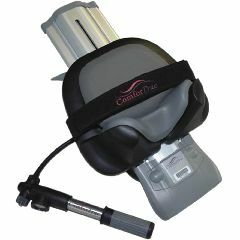 The ComforTrac Home Cervical Traction Device provides unparalleled traction therapy and is an alternative to long-term clinical care and for some, an alternative to surgery. Cervical traction is delivered in the supine position and the angle is adjustable from 15 to 25 degrees. The features allow true replication of clinical treatments - comfort, angle and force of home treatments are identical to what patients would receive in the clinic. The Saunders Cervical Traction device greatly enhances patient compliance and satisfaction, and provides a comfortable and effective traction experience at home. Easy to use. Comfortable. Reasonable cost. I use this device for about 14-minutes each day. My Spinal Surgeon advised me to use this device when I feel most affected by my nerve impingement of the neck. I had been receiving traction at my Physical Therapist's office and I realized that 2x a week was helping. Therefore, I opted to spend the money to have this treatment at home. I like it; I'm pleased so far. It is adjustable. It is comfortable.. It has a nice padded case. Light/easily carried. My stiff neck.. compression neck injury. tired/sore neck/shoulders. health conscious . a walker. a bicycle rider. a sailboat racer. in my 60's. I use it on the floor on low 10 degree setting (watch TV) and pump up to 5 lbs for 2-3 min. then deflate a minute; repeat. Pump to 10 lbs. for 2-3 min. then deflate a minute; repeat. Do 2-3 times a day as my neck lets me know if/when I need it. Don't get in hurry to increase lbs. or there may be slight pain. I then put an ice pack on neck/upper shoulder spine for 15-20 min. My Chiro recommended it and guided me, including the ice. No cons. Yet. . Ha ha. a walker. Chronic condition. health conscious . Found to be best price. in my 60's. Chronic condition. This product is the same as the one my chiropractor uses. I use this traction 3 time a week for relief of arthritis in neck which causes pain when no space for nerves. I feel relaxed and pain free after use. Is this the new or the old model? My comfortrac is great but I'm having problems with the velcro slipping and not holding. What can be done? Do I need a prescription to buy this unit? You do NOT need a prescription to purchase this unit. However, a prescription will then entitle you to be reimbursed or your insurance carrier billed directly providing medical necessity is documented by an Rx.